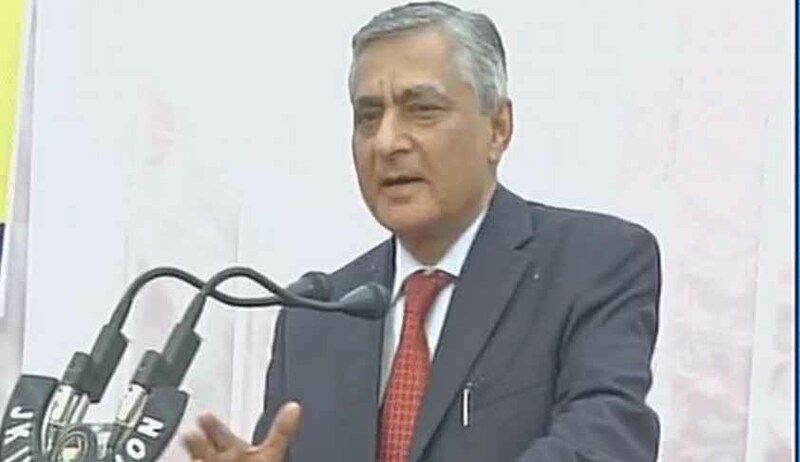 Chief Justice of India TS Thakur visited his old school in Jammu today. He got emotional reminiscing about his school days. He said he met many of his classmates as well as teachers and then he went on to note that much had not changed in the past five decades. According to an Indian Express report he said- “In last 50 years, we’ve even gone to Mangalyaan, but there has been no change in infrastructure of this school, same old broken chairs. I know situation is bad in this region since last 25-30 years because of extremism. Government is facing a lot of challenges but education is one thing which can’t be compromised as it is only way to progress”. After looking at the video posted by ANI news, one reckons that the CJI got overwhelmed. His voice choked after he remembered some of his teachers who had passed away. However, his observations regarding the situation in the state of Jammu and Kashmir are significant. Although the CJI had made an emotional appeal to the Prime Minister at the Chief Minister’s and Judge’s conference in April, today’s scenario was a little different. There was sadness but at the same time hope for the people of Kashmir.